This is a quick and easy snack. You can double up on the ingredients and store it in the freezer. 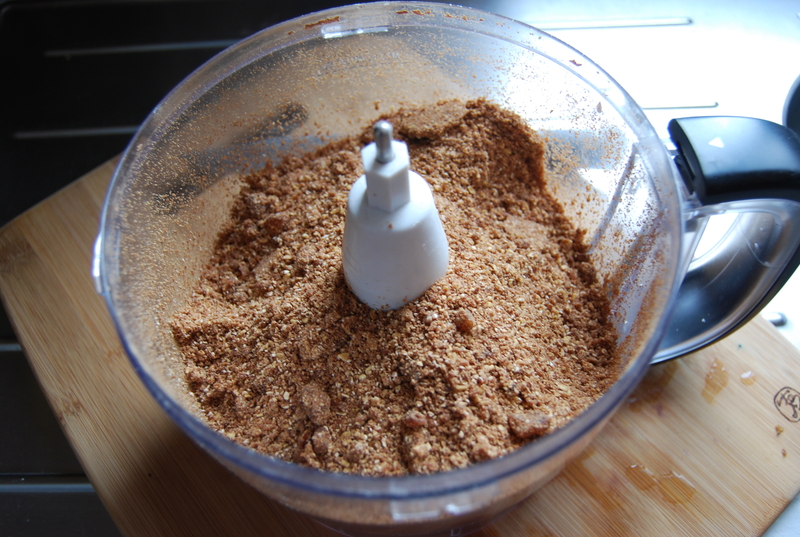 Directions: In a food processor, process the cashews and oats until a fine crumble. 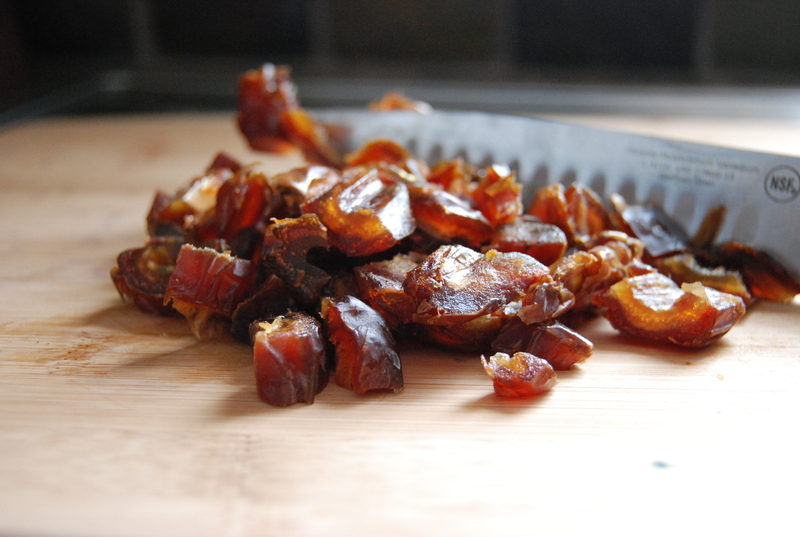 Now add in the flour, Vega protein powder, salt, and roughly chopped pitted medjool dates. Process until fine. Transfer to a large bowl and stir in the 3-4 tbsp of chopped dark chocolate. Roll into balls. 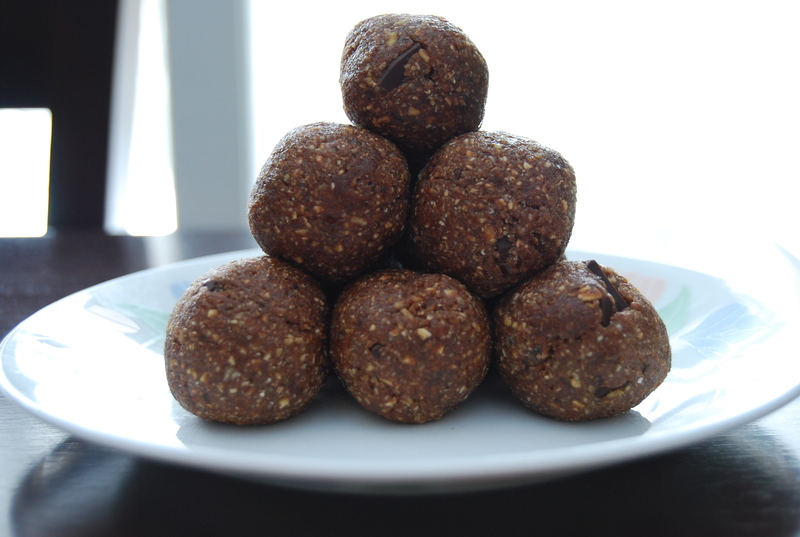 Place protein balls in an air tight glass container with a lid. Freeze for 1 hour to set. Enjoy as a snack or dessert. P.S. If you think you’d like this …hit the like button below!! I am looking for a high protein bar or something, at least 20g of protein. I have found many processed, disgusting protein bars; I do not want to eat anything processed if I can help it. It seems that I have a glucose imbalance and when I fall asleep I tend to act out my dreams because of this imbalance. Or so that theory is still being checked because I have only tried protein bars for 3 days and they seem to help keep my sugar in check and keep me from “sleep walking”, so far. I also wake up feeling better and possibly have eliminated motion sickness. Wow, what amazing things your body does when something’s not right. Thank you and thank you for the great podcasts. Can I make these without using a food processor? Ruby, I don’t see why not 🙂 Might just take a little longer creating them. If you have a blender you can even try that. My suggestion would be to separate the recipe a bit. For instance grind up the cashews first and then place in a bowl, next do the same with the oats. If you do not have a blender or any other appliance that would help create a “flour” like texture – go old school 😛 put the cashews in a bag and crush them with something heavy like a garlic press or even grab a hammer LOL. As for the oats you can always leave them whole. Next I would pit the dates and try to mush them in a bowl by hand as much as possible, then add the maple syrup. Mix until you get a paste like texture – you could even cook both of these a bit to help create the paste. 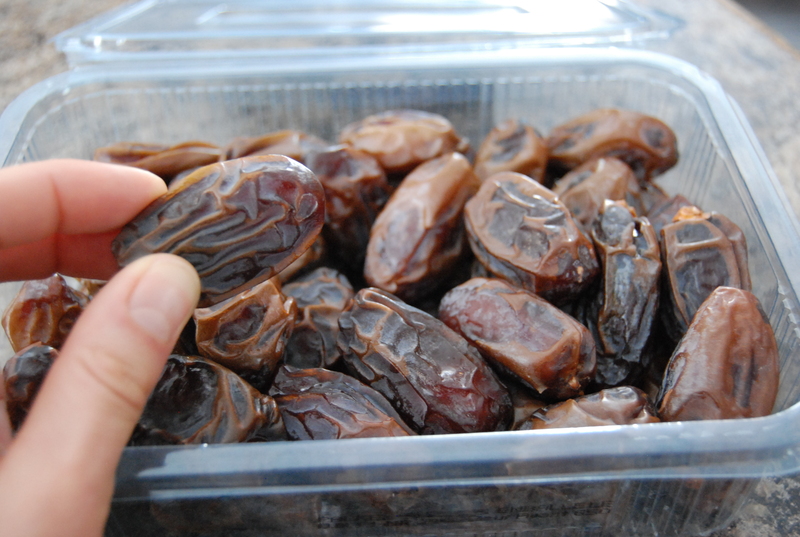 NOTE: Make sure you use medjool dates, they are super soft to begin with. Now combine the crushed cashews, oats, dates, maple syrup and remaining ingredients. Mix until a dough like texture forms. Roll into small bite size balls. Freeze for 1 hr or so to set and Enjoy! 🙂 Hope that helps you!